Influencer Marketing and CPGs: Why It Matters and How to Make It Effective - Quotient Technology Inc.
Quotient brand Ahalogy is a market leader in trend-driven influencer campaigns. Its clients include over 100 major brands, with a focus on CPG and retail. Ahalogy’s founder, Bob Gilbreath (left), began his marketing career at P&G, where in 2004 he was named an Advertising Age top marketer. Following P&G, Bob became partner and chief marketing strategist at Bridge Worldwide, a digital agency that he sold to WPP. 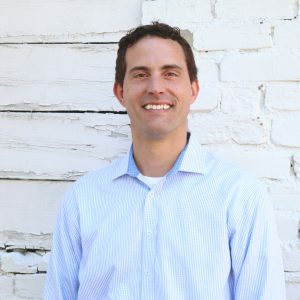 Bob is the author of The Next Evolution of Marketing: Connect with your Customers by Marketing with Meaning. Bob, now Quotient’s VP of Social Platforms and GM of Ahalogy, talks about influencer marketing and what makes Quotient’s Ahalogy business unique. Question: When did influencer marketing as we think of it today become a thing? Answer: Influencer marketing really started with the first blogs and discussion boards 20 years ago. Since then, the biggest change has been a continual rise in sophistication and scale that allows larger marketing investments. Q: So, not just anyone who creates a blog or an Instagram account today can call themselves an influencer. A: Right. While we first celebrated that idea that “anyone can publish,” we now see the rise of a smaller group of passionate creators who consistently bring high-quality content. They are “micro-publishers” who have blogs and social media channels with a significant audience—and they make a living on the work they do. Meanwhile, brands increasingly recognize that a meaningful share of their marketing needs to go toward having authentic influencers talk about their brands. For today’s brands, influencer marketing goes on the media plan as a key driver of a campaign’s sales goals. Q: And you expect that trend to continue? A: This trend of increased spending will continue if brands and influencers work together to bring more sophistication, which will include more accurate targeting, third-party verification, and proof of sales impact. I believe we’ll also start to see brands recognize that influencer creative–useful ideas, from authentic people, discovered on social media–will actually drive more sales than the so-called tell and sell brand benefit messages that marketers have been creating for decades. Q: Your team works closely with a number of influencers. How do you find them–or how do they find you? A: We mainly grow our network through word-of-mouth from people who are already in our networks—most influencers believe in helping each other. They apply through our website, and we assess everything from the quality of their creative to the trustworthiness of their social accounts and site traffic, using a mix of machine learning and our team’s judgment. Q: There have to be thousands of people trying to make money in this space. How do you narrow down the pool to the most effective? A: Overall, the main thing we look for is consistency and quality of their work. We also look for new, diverse voices that bring new perspectives to a brand. It’s about quality over quantity, and we only accept around a third of those who apply. Q: Tell us about Muse, the software platform that Ahalogy created. A: Muse enables us to uncover category insights and manage the workflow of our campaigns. We started Muse because of a need we had soon after founding our company. Most great influencer content starts with an idea or inspiration, but it can be difficult to decide what the subject of a campaign should be. Existing social listening tools could tell you, say, what people were saying about a brand, but it was impossible to get insights around a broader category and bigger picture topics. Q: So you decided to build a tool to address that need? A: Yep! We decided to solve our own problem by using natural language processing to look across millions of influencer sites and social media accounts, then organizing the results into category-level trends. Today, every campaign starts by looking across our network and nearly five years of data, and we identify trends that go into project briefs and influencer selection. The result is creative content that is seasonally relevant and on-trend, and, more importantly, driving higher engagement and product sales. Q: You have many competitors. What does Ahalogy, especially now its integrated with Quotient, offer a CPG that others don’t? A: We have three key differences in our product: First, our Muse trend data is an incredibly valuable starting point for campaign insights. Second, our influencer network is comprised of high-quality, vetted influencers that we have relationships with. Third, while influencers share posts organically, we only charge clients for paid social impressions, which allows us to do laser targeting of the right audience. We also use third-party verification through partners such as Moat whenever possible. And now, with Quotient, we have a much larger footprint in the market, and we can improve our product and results by tapping into Quotient’s first and second party targeting data. This means we can get much more granular in both our targeting and measurement. The result is that our clients get the highest quality campaigns that are guaranteed to hit their specific target audience. No one else in the industry offers this combination of benefits. Q: Could you share a few examples of campaigns that were particularly successful? A: Sure! In fact, you can take a look at a few case studies. One was an influencer marketing campaign we created with the Nespresso team. The other was one we worked on with the COOL WHIP team when they introduced a new product called COOL WHIP Mix-Ins with OREO.® Both campaigns were highly successful and achieved exciting results. Q: One last thing: Let’s say I’m a CPG and come to you for advice on how to use influencer marketing. What’s the one thing you would tell me NOT to do? A: Do not ever trust any earned or organic reports in your influencer campaigns. Too many companies add up the social followers of their influencers and guesstimate how many people actually saw the posts—and what percentage actually fits the target audience. Unfortunately, this leads to a large incentive for fraud, such as fake followers and pods of people who click on each other’s posts. Meanwhile, the social platforms are reducing earned reach and cutting back on access to analytics. That’s why we rely on paid social to deliver an impression or engagement number that you can rely on. 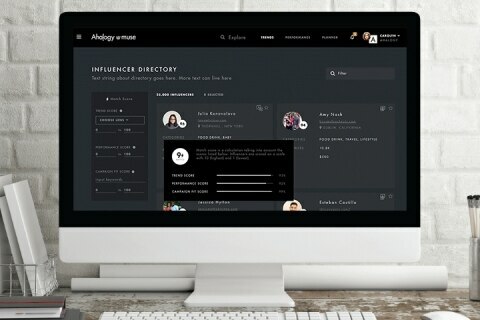 Get to know more about Ahalogy and its team of influencers here.